Went out birding, I ended up being obsessed with the small nature wonder, the spiderwebs. 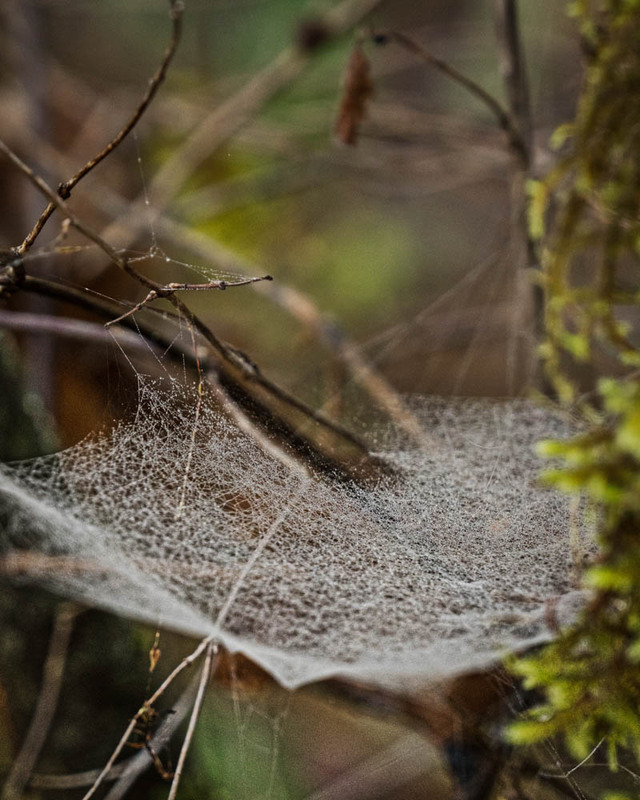 The perfectly weaved web is beauty under the cozy light. I would use a larger aperture for the bokeh and clean up the clutters in the background, but I had only my telephoto lens with me. 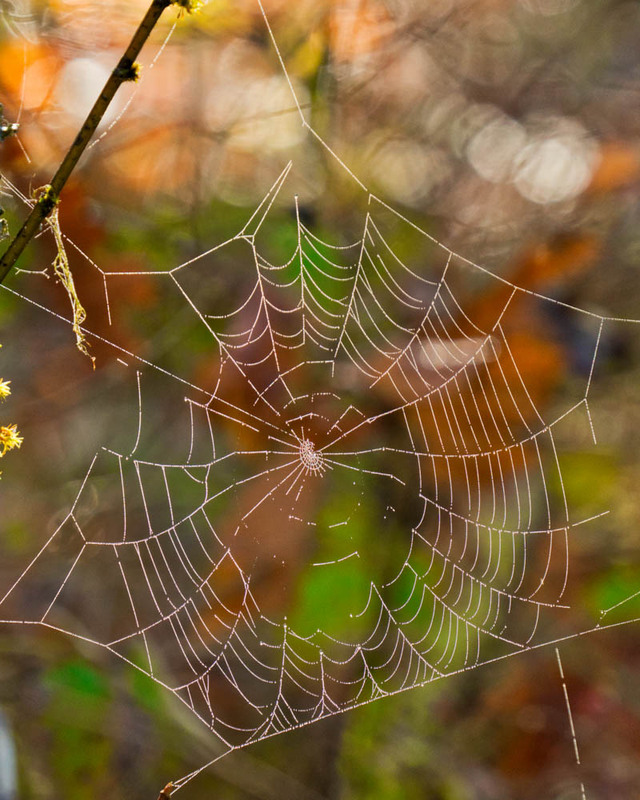 The imperfection of the web is overcome by the colorful vegetation behind. If not for the slight imperfection, the colors would probably not have the opportunity to display. I am a deadly perfectionist and now I learn not to be one. Leave some room for others to shine. Tuck yourself away from the noise and hide-out here with this meticulously weaved hammock that the spider has prepared for you? Who would take so many spiderweb pictures? Ask photographers.